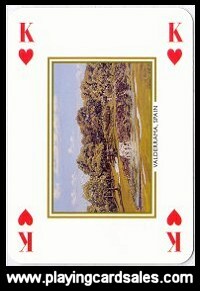 Each card shows a different fine art illustration of a famous golf course. 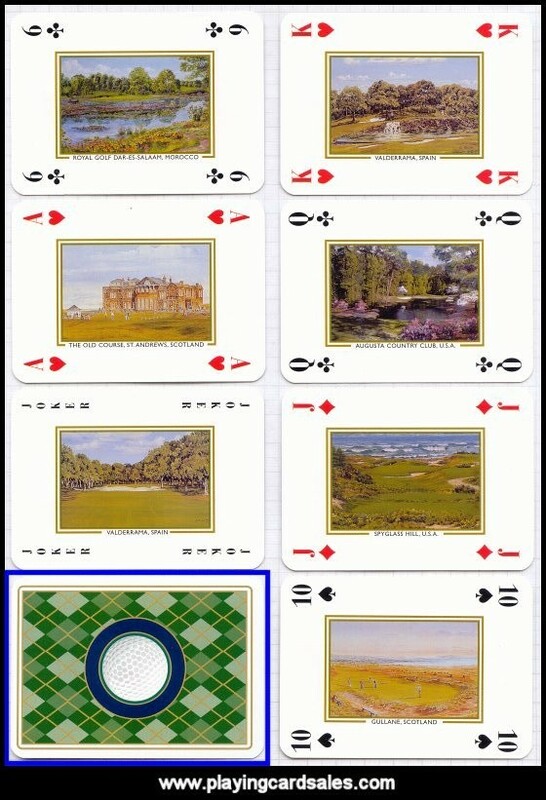 Courses shown include Valderrama - Spain, Augusta Country Club - USA, Spyglass Hill - USA, Gullane - Scotland, Royal Golf Dar-Es-Salaam - Morocco and The Old Course - St Andrews - Scotland. Artist: Bill Waugh.